Rich Nelson is a disciple of Jesus Christ, husband, father and Episcopal priest who has served both Episcopal and Lutheran faith communities and an Episcopal school. 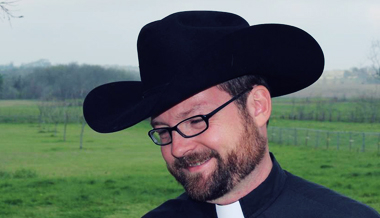 He most recently served as pastor of an ELCA Lutheran congregation where he also co-founded Bridge Ministry of Burton, TX. The Bridge is an example of what it can look like when all 13 churches in and around one small town come together across denominational and racial differences to serve their community together in Christ's name. He continues to serve as a leader of Bridge Ministry but has recently stepped aside from congregational leadership to devote his ministry to creating "Following the Way," an innovative discipleship resource to support people in living a holistic life of faith and to feed the new reformation of the Church (www.followingtheway.me). Rich is a TWOTP curriculum writer and wrote the guides for Called to Community and The Ridiculous Journey. He is married to the Rev. Karen Buck Nelson and they have two sons. Karen is a pastor in the United Church of Christ. Their oldest son was baptized by a Methodist truck driver. Their youngest son was baptized by a Lutheran bishop. In his extended family is an Episcopal deacon, a former Orthodox monk and a Baptist preacher. Their family loves being an incarnation of a new era of ecumenism. He is available for retreat leadership and speaking engagements.